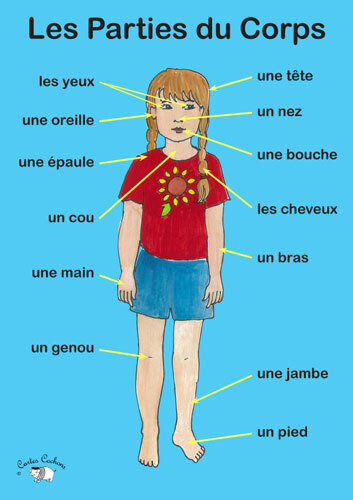 Je me lave les mains = "I'm washing my hands"
J'ai mal à la tête = "My head hurts"
Je me suis cassé le bras = "I broke my arm"
Pronominal verbs have a pronoun as part of the infinitive (the base form), e.g. : se réveiller, se coucher. The pronoun must match the subject, e.g. : Je me lave ("I wash myself"), elle se couche ("She goes to bed"). You can learn more about pronominal verbs here.